Sloping hills crawling with grape vines, sun-drenched patios brimming with oenophiles, cool cellars with rows of oak casks — are we daydreaming to imagine Ottawa’s countryside as the next Niagara or Prince Edward County wine destination? Given our long, cool seasons, the Ottawa region as a wine-producing destination seems like pure fantasy. And yet, believe it or not, we’re beginning to produce wine — in fact, there are plenty of wineries already up and running. That said, Ottawa as a wine region is in its infancy, and it will take years of hard work and patience before wine producers see a payoff in their investment — if they ever do. Any skepticism, however, should be tempered by the recognition that it wasn’t long ago when Prince Edward County, now a wine destination, was in the same position our region finds itself: struggling for a place in Ontario’s VQA-approved (Vintners Quality Alliance) wine market. “The County went through quite a process, and it took several years working with the vineyards there to get that region strongly defined,” recalls Laurie Macdonald, executive director of VQA Ontario, a regulatory agency that administers the provincial wine standards act. However, this is only a sliver of the rigorous process that a wine needs to go through in order to be VQA-approved. Even before these vines can be nurtured in cooler temperatures, they must be recognized by the government as being 100 percent Ontario grown and of a verified origin. If these vines happen to be successful and a wine is produced, it is then submitted to thorough laboratory testing where contaminants like pesticides, sulphides, and metals, among other chemical quality standards, are assessed. But unlike the vintners of Prince Edward County who favour nurturing these classic varieties, Ottawa vineyards are growing hybrid grapes that can more easily survive our winter months. The hybrid grapes our regional vintners turn to are the result of the grape-breeding program at the University of Minnesota, which has produced disease-resistant vines that are able to withstand temperatures of -33 degrees Celsius. Revolutionary? Yes. Romantic? No. But they’re reliable and well suited for eastern Ontario’s climate. The most commonly used hybrids in the Ottawa region are from the Frontenac group (patented in the mid-1990s), as well as a more complex hybrid called Marquette (patented in 2006). In addition to being resilient, Frontenac vines are favoured because they’re vigorous and high-yielding. But Frontenac can be tricky, as some tasters frown on its perfumed and candy-like cherry aromas (however, it has been known to make some good ports). In addition, Frontenac needs adjusting during the aging process as it can end up being quite acidic. The newer hybrid, Marquette, grandson of Pinot Noir, draws more fans with its flavour profile of white and black pepper, some dark cherry (like Shiraz), full body, and beautiful aroma. It’s also known to have a balancing level of acidity and pronounced tannins. Believing that Marquette has set a new standard of hybrid reds, cold-climate vineyards are pushing for its VQA approval, as it’s showing to produce a consistently good product. Since these hybrids are not VQA-approved (there are a select few hybrids that are; however, these are not the ones being used by Ottawa vintners), it leaves vintners unable to submit to VQA-quality testing, as they, quite literally, aren’t on the list. 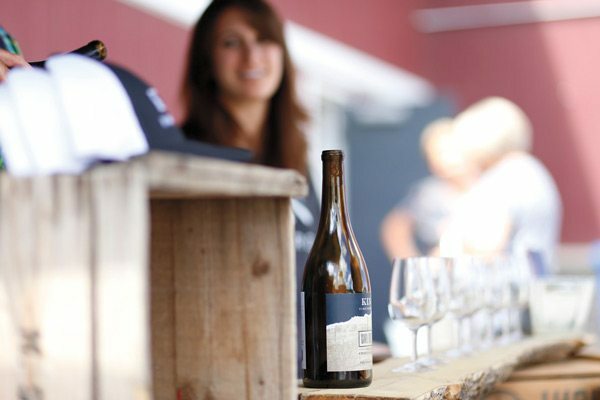 Without VQA approval, vintners are unable to access the promotional avenues within the VQA (including the plethora of marketing material they put out each year), which are extremely helpful in reaching potential customers and distinguishing our region. Non-VQA wines also miss tax advantages when they are sold directly to restaurants. “We have no problem using hybrids,” says Perrault, who grows several hybrids as well as a few classics. For Perrault, winemaking was initially an interest but nothing more than a hobby. Gaining financial security from his dairy farm allowed him the freedom to test, alter, and age his wines until he was satisfied with the product. This patience has resulted in several excellent hybrid wines, his rosé, Marilys, being of particular note. 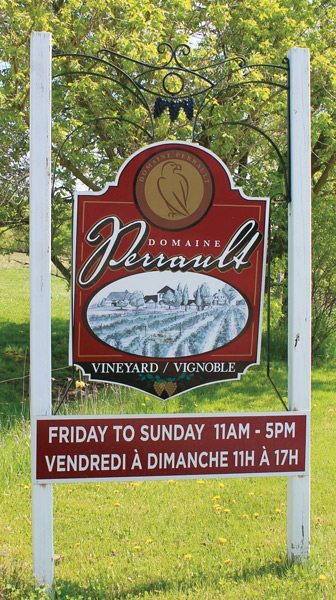 But Perrault’s more relaxed approach isn’t typical of most of the region’s hybrid vintners because most don’t have the resources to wait for their wines to mature as he has been able to. 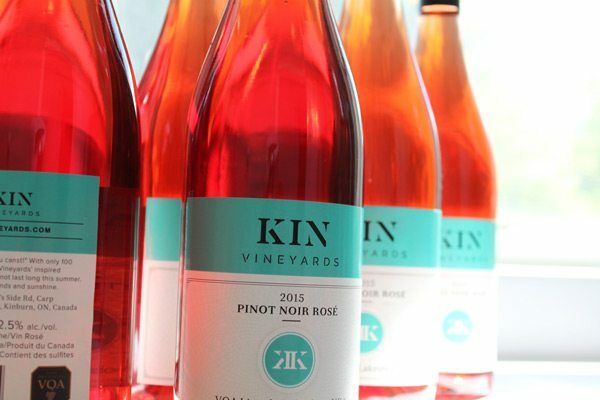 An Ottawa winemaker who took the risk of growing less reliable but VQA-approved varieties was Christopher Van Barr, owner of KIN Vineyards. “If you can do it in the County, then you can do it here,” says Van Barr, who, before getting VQA approval for his Burgundian varieties like chardonnay and pinot noir, decided that Carp could offer his vines the right exposure, heat units, slope, and high-pH soil. In wine terms, Carp provided his vines with the right terroir. Also, its lush green surroundings and cozy community provide the perfect backdrop for KIN Vineyards’ newly opened tasting room: a quaint, rustic space with a patio overlooking the Carp valley (open to the public until the end of harvest, usually late October). But more than these naturally occurring elements is needed to create a VQA-certified product. Vines like Pinot Noir, which are notoriously fickle, require a great deal of care to prevent freezing damage to the wood (canes) and bud tissues. The vines have to be buried in winter and unearthed in spring — not a small feat given that the average vintner is dealing with thousands of vines. In spite of this, Van Barr’s vines have flourished in the Carp area, and his effort to nurture these vines and put them through the entire VQA system has paid off: he now supplies to acclaimed Ottawa restaurants like Fauna and Restaurant e18hteen. It’s a complex situation for Ottawa regional wineries. Economically, most are limited to cold-climate hybrids for their reliability, but that means losing out on the advantages that come from being VQA approved. Attempting to grow classic warmer-weather vines may get VQA approval, but the vines may not survive the cold winters and vintners could lose their entire investment. If VQA approval and eventual regional recognition are the end goals, then hybrid vintners must produce wines that would be hard for the VQA not to recognize. The advantage that classic vines carry is time: over many years, they have been able to produce consistent, high-quality products that meet accepted standards no matter where they are grown. Since cold-hardy hybrids are relatively young, they need time to settle into the wine landscape, gain momentum, and prove themselves. Over years, when a high-quality norm has been established for these varieties, there is nothing stopping legislation from shifting in their favour. One thing working in our region’s favour is that humans are consistently attracted to what’s new. And when they come looking, a new wine experience will be here, waiting for them on a sunny patio in a long-stemmed glass. Or at least that’s how my daydream goes.